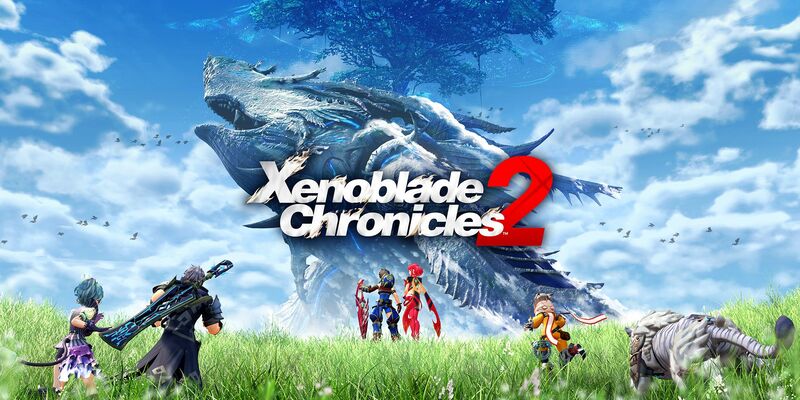 One of the key elements of Xenoblade Chronicles 2 is the Blades system. By opening different types of crystals (like Core Crystals), players can add new Blades to their party, including Rare Blades. As their name implies, obtaining Rare Blades isn’t easy. Unlocking these unique characters have a low percentage. Monolith Soft hasn’t detailed the drop rates, but fans have now datamined this information. MooseHunter led the way on the datamine, and NuCoEm from GameFAQs has presented the information in a fairly easy-to-understand format. What’s particularly noteworthy is how there isn’t a simple, single percentage for each Rare Blade. Instead, five elements work together to determine what you’ll receive. There are 5 elements involved in the algorithm that determines what kind of blade you get from a core crystal. These are: the blade base probabilities, the pity system, which type of crystal is used, your Idea Cloud, and finally LUK (the stat). I’ll go through them one-by-one. Note that Wulfric, Vess, etc. are not given. They all have base probabilities of 1 in each column. So why are there 5 different columns? Well, it turns out that the game chooses which column gives the base probabilities on your save file upon the creation of said file. So if the game decides to give you column 5, you will have high base odds for Godfrey, Perceval, Azami etc. while having low base odds for Vale, Agate and Ursula. KOS-MOS, the NG+ blades and the named crystal blades are the only blades with the same base probabilities in every column. Myth 1: some blades (like Godfrey and Azami) are more common than others (like Zenobia and KOS-MOS). This claim is not completely true or accurate. In reality it depends on which column your save file has. In column 5 Godfrey and Azami indeed have high base probabilities, but in column 1 they have much lower base odds. Yes, there is actually a pity system in place to prevent people from getting RNG screwed too badly. Moreover this system can be used to determine which column your save file has (more on that later). With the exception of Azami (column 2) the pity blades all have low odds in their column compared to other columns (that’s a relief). This pity system is what allows us to easily see which column our save file uses. The first step is to put your blades in chronological order and see which 5-10 blades you got first. Your 3 pity blades should be there, as well as other blades with high base probabilities (on average). This should give you an indication of which column your save file might use. If you want to be even more certain you could release one of your pity blades and use legendary crystals till you get him/her back. If you had all 3 pity blades and released one of them, then it takes 500 points (10 legendary cores) to get that blade back. The next one takes over 35 legendary cores to get back (as far as I know the person testing this is still opening cores, RIP). The pity system guarantees you get at least one rare blade if you start your save file by opening 2 legendary cores. If you obtain 2 legendary cores early on (Season Pass or easy chests), then you could determine your column early on and reset if you’d rather have a different column. Ursula is one of the pity blades of column 5, so it’s a great column to have if you want her early. The pity system can also be used to save an Overdrive Protocol if you’d rather have one of the pity blades on another driver. If you already have all 3 pity blades then the first one you release has been confirmed (by two people) to come back after 10 legendary cores. However, the second one could take a while (as mention earlier), so be warned. Now here’s where things get tricky. The Idea Cloud multiplier is only applied to rare blades that use the element tied to the highest Idea. If your Idea Cloud looks like 7-4-6-9, then all the light and dark blades will get the lvl 9 Justice multiplier while all other blades get the multiplier of a lvl 0 Idea point (i.e. a multiplier of 1.0). If multiple Ideas are the highest lvl, then the algorithm will pick one of them randomly. If a booster is used, then this Idea is chosen, regardless of if it’s the highest. If you used a Truth booster with the previously mentioned Idea Cloud, then all the wind and ice blades would get a lvl 5 Truth multiplier, and all other blades a lvl 0 Idea multiplier. The booster rule effectively overrides the “highest Idea” rule. The Idea multiplier is as follows: 0.01*(100 + 5*[the highest idea lvl]). Hence the multiplier varies from 1.0 to 1.75. The multiplier for LUK is pretty simple: max((sqrt(LUK)*0,01*1,3)+0,95;1). What the “max(a;b)” function does is pick either value a or value b, depending on which is the highest. Hence the LUK multiplier can go from 1.0 to 1.36. In the most optimal setting (legendary core, lvl 15 of the relevant Idea, 999 LUK) the base probability rates are multiplied by 7.14. What this formula does is compute the probability of adding certain blades to the pool. If you have used a rare or legendary core crystal & if there is a rare blade in the pool, then you are guaranteed to get that blade. If there are multiple rare blades in the pool, then one will be selected randomly based on the base probabilities. If you have used a common core, then there’s only a 25% chance of obtaining a rare blade. This means that rare crystals multiply the odds of getting a rare blade by 6 relative to common crystals, and legendary crystals by 12 relative to common crystals. Myth 2: The more rare blades you have, the harder it is to obtain a new one. Therefore you should release unwanted blades in order to increase the odds of getting a blade you actually want. The first sentence is true, but the second sentence is false. What the algorithm does is compute for every rare blade separately if it is added to the pool. This means that if you have few blades, then many random numbers are generated and there are many chances that at least one blade will be added to the pool. So sentence one is correct. However, the odds of getting any particular blade (say KOS-MOS) is unaffected by your current collection of blades. Hence sentence two is incorrect.